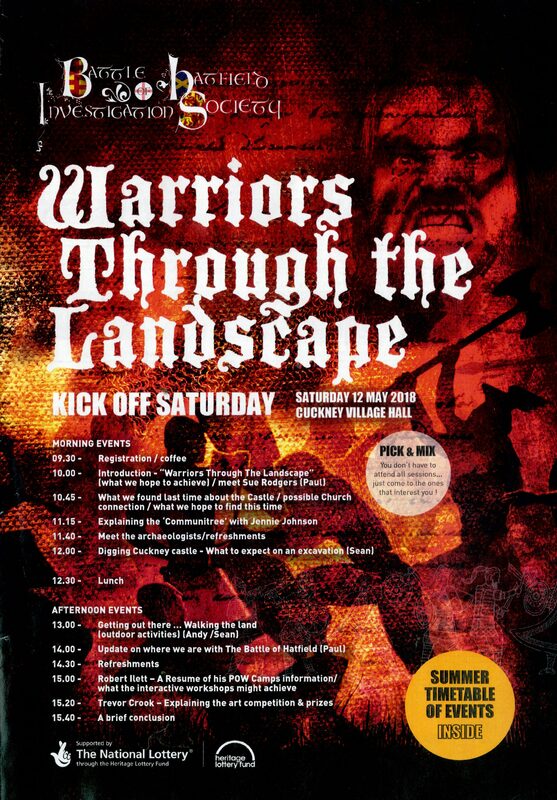 Our new Heritage Lottery funded project, “Warriors Through the Landscape”, starts on Saturday 12th May. Please see the timetable for full details. This event will explain all the exciting activities that will take place between May and September. Coffee and tea will be freely available but please bring a packed lunch.